After weeks and weeks of pondering, I've decided to hang up my blogging hat. 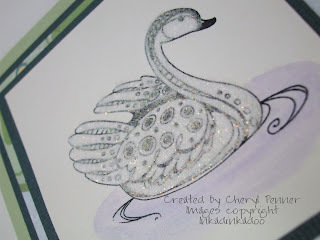 I'm trying to de-stress my life and blogging has become another thing to add to the to do list. I won't be deleting it just in case I decide to start it up again sometime in the future. I look forward to just checking out what you all are up to and starting a new job! Till later....bye! ...no, I haven't fallen off the face of the earth! With the end of the school year, everythings wrapping up and I'm super busy. My posting will be very sporatic in the next month unless I get a block of time to do a bunch of posts together. I haven't even made it into my craft room for 2 weeks:( I can't wait till the girls' activities are done! 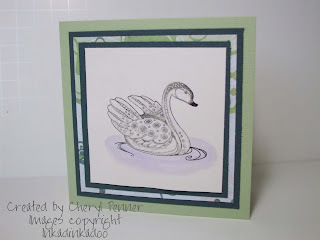 Here's another from my last class using the same Inkadinkadoo set. 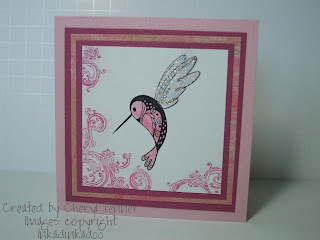 The hummingbird was stamped with black stazon and colored with tombow markers. The swirls are a basic grey set that were stamped with a glue pad and then dusted with perfect pearls. The wings are covered in stickles. 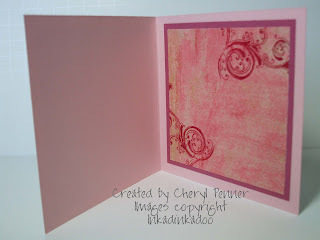 Inside, the swirls are repeated with cranberry adhirondak ink. Here's the second card from my class last saturday. 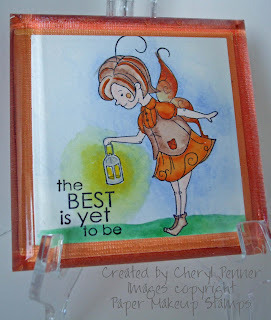 It is also from the patterned birds and bugs set from Inkadinkadoo. 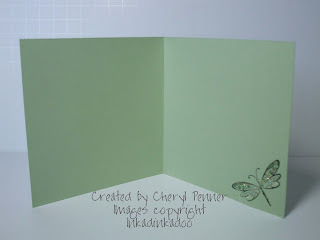 Inside is a simple dragonfly, also from the same set. 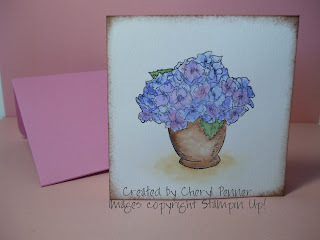 Here's a card I dod for a class on saturday. It is using an Inkadinkadoo set called patterned birds and bugs. Here's a close-up. 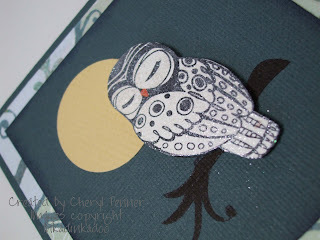 The owl was stamped with black stazon, cut out and then perfect pearls were used all over using a glue pad. 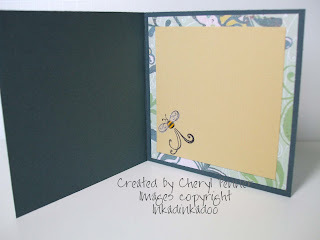 The inside has a simple bumble bee that is also from the same set. 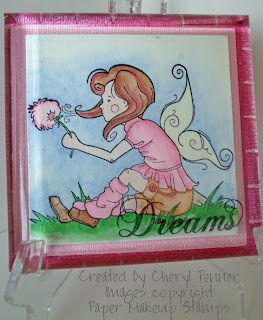 I'm so excited to be today's Paper Makeup Stamps' friday feature! 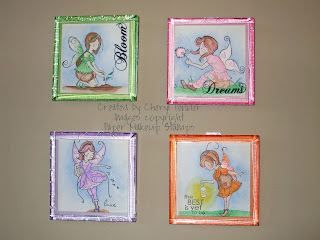 I made these tiles to hang in my girls' room. 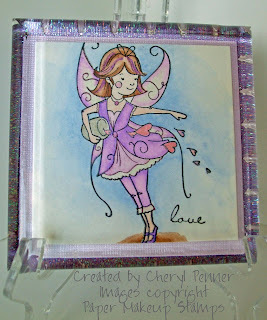 They are made using 4" x 4" 1/2" acrylic blocks that I had cut and then I asked them to round the top edges. Here's a close-up of each one. The first one uses Kirsten. It is absolutely perfect as my middle daughter is named Kirsten and it's nearly impossible to find anything with her name! The second tile uses Lauren in Love. The third tile uses Jaina fairy. 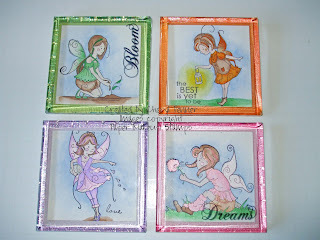 All of the images were stamped with Black Stazon ink onto watercolor paper. 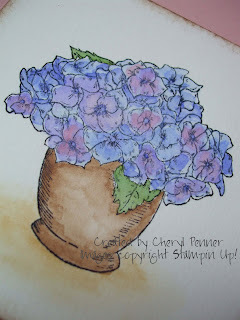 They were then watercolored with Stampin up! watercolor wonder crayons. I also used twinkling H2O's on the wings and for their hair streaks. Here's another angle of the tiles. This is what the girls' wall looks like. 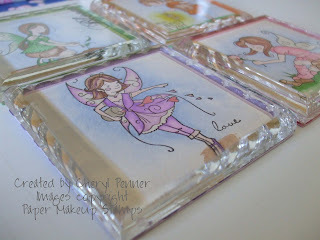 I'm hoping to make more as new fairies are released and add to the collection! The girls are absolutely thrilled with them! 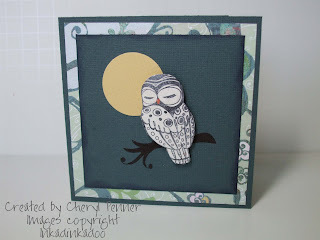 Here's a super quick card using Stampin Up!s Bloomin beautiful set. 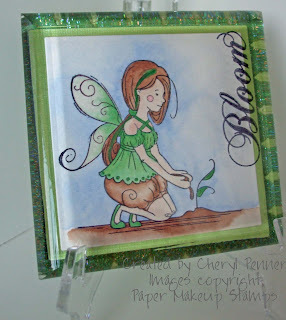 It is made with watercolor paper and watercolored using Watercolor wonder crayons.